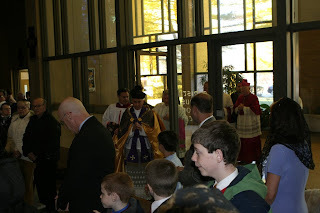 The importance of Tradition in the Long Island, N.Y. Diocese of Rockville Centre was recognized at a Tridentine Mass on Sunday, March 9, when Bishop William F. Murphy was on hand for his first pastoral visit to the Diocese's original Latin Mass indult community - a visit that, he promised, "won't be my last." 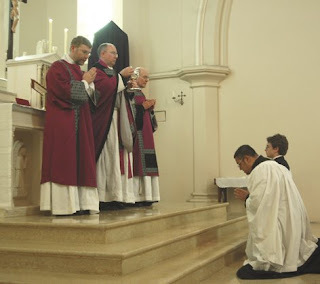 While he was officially on hand to confer the title of monsignor upon Father James F. Pereda, Judicial Vicar for the Diocese and a local champion of the Latin Mass, Bishop Murphy also seemed to signal his embrace of the Latin Mass's new status in the Church. 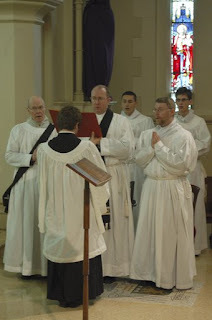 The extraordinary form of the Roman Rite is now celebrated at four locations in the diocese and Bishop Murphy has permitted and helped facilitate the training of diocesan priests for celebration of the old Mass. Sunday's ceremony took place at the former St. Pius X Preparatory Seminary, where Msgr. 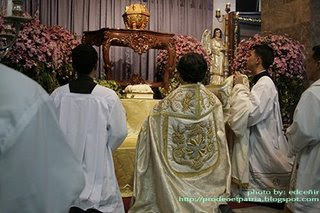 Pereda has been the regular celebrant of the Latin Mass for more than a decade, and where he began his studies for the priesthood. 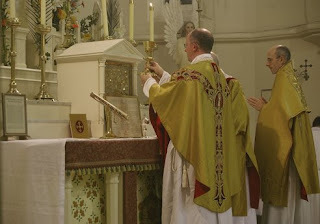 Long Island has always demonstrated a definite interest in the Latin Mass that probably cannot be matched by any other diocese in the U.S. - a statement that can be illustrated by recalling Long Island's role in the history of the the traditional resurgence, including the unapproved variety. 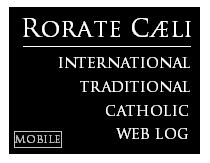 The late Father Gommer De Pauw set up his "Catholic Traditionalist Movement" and Ave Maria Chapel here immediately after Vatican II without local episcopal approval. 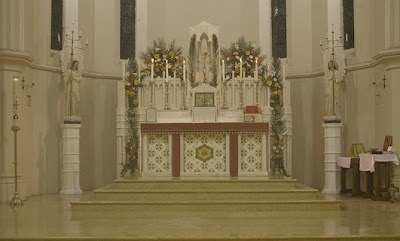 The irregular Society of St. Pius X was quick to establish a chapel here, and SSPX founder Archbishop Marcel Lefebvre was a frequent visitor, celebrating mass confirmations in large rented venues. It was also on Long Island that the Society of St. Pius V was founded in a break with the SSPX. Other independent chapels dot the area, making Bishop Murphy's solicitude for Traditionalists of his diocese - the seventh largest in the U.S, -- especially valuable for the future. 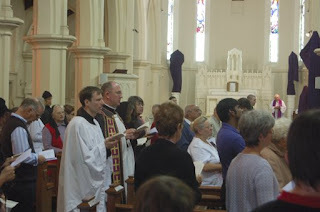 At Sunday's Mass, the bishop participated, in choir, along with several distinguished senior clergy from the diocese, some younger priests, and representatives of at least four religious communities, including the Franciscan Brothers of Brooklyn, a teaching order, and the Little Sisters of the Poor. The homilist, Msgr Charles L. Sangermano of Holy Saviour Church in Norristown, PA , a friend of Msgr. Pereda's, earlier this year taught a six-week program for priests on the Extraordinary Form offered by the Theological Institute at St. Charles Borromeo Seminary, Philadelphia, PA.
Music for the Mass was provided by a large group of teenagers, Our Lady of the Angels Girls' Choir together with Saint Anthony's High School Gregorian Schola, under the direction of Br. Joshua DiMauro, OSF, assisted by Dominican Sr. Marilyn Pfriender, organist. 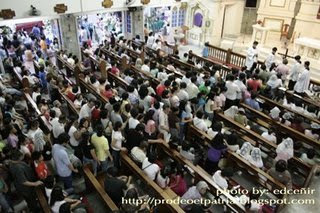 The chapel was filled to capacity with young men standing along the sides as the pews were filled to capacity. Many families with young children greeted Bishop Murphy during the reception. 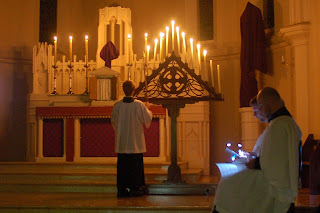 It was enormously gratifying to many at this Tridentine Liturgy to see their shepherd process into the chapel, led by 11 young men serving as master of ceremonies, thurifer, crucifer, acolytes, torchbearers, and assistants; more than a dozen priests, Msgr. Pereda, and then the bishop. Msgr. 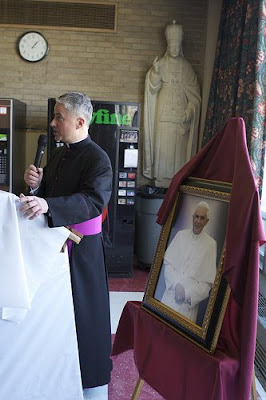 Pereda spoke at the reception about this day not being merely honoring a single priest but rather honoring the Priesthood of Our Lord Jesus Christ and celebrating the communion in charity that Traditionalists enjoy with the See of Blessed Peter the Apostle. He thanked Bishop Murphy for requesting the papal honors for him, but was most grateful for his being a true father to him and to the Latin Mass community, and for never failing in his example of priestly zeal and holiness. 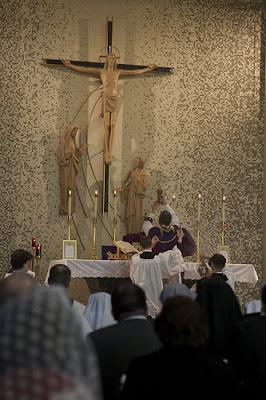 Mass in the Extraordinary form is currently offered within the diocese on a weekly basis at Saint Pius X Chapel, Uniondale; St. Matthew's, Dix Hills; Sacred Heart, Cutchogue; and at Our Lady of Lourdes, Malverne. 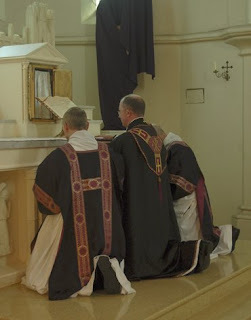 This is a change in the post-Summorum Pontificum landscape as, in less than six months, we moved from one weekly and one monthly Traditional Latin Mass to the four weekly Masses we now have. 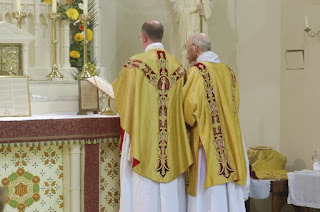 In light of the half-dozen or so young diocesan priests newly trained to offer the 1962 Missale Romanum, the outlook is positive for the growth of Latin Mass communities. 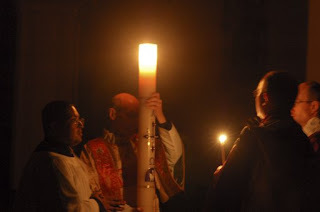 History tells us that there is a fervent desire on the part of the Long Island faithful for Tradition - a desire that has now been met with active parochial and episcopal support and approval. But then, why would the Saudis bother to allow us a church when they've got complete freedom to set up mosques all over Europe and the United States? Riyadh: March 29, 2008.No churches should be permitted in Saudi Arabia, unless Pope Benedict XVI recognised the prophet Mohammed, according to a Middle East expert. While Saudi mediators are working with the Vatican on negotiations to allow places of religious worship, some experts believe it will not occur without this recognition. "I haven taken part in several meetings related to Islamic-Christian dialogue and there have been negotiations on thisissue," he said. "It would be possible to launch official negotiations to construct a church in Saudi Arabia only after the Pope and all the Christian churches recognise the prophet Mohammed." "If they don`t recognise him as a prophet, how can we have a church in the Saudi kingdom?" Ashiqi`s comments came after a declaration launched by the papal nuncio of the Persian Gulf, the archbishop Mounged El-Hachem, at the opening of the first Catholic church in Qatar last week. The prelate had announced the launch of "treaties to construct a church in Saudi Arabia where it is banned to practise whatever religion they want outside Islam". El-Hachem estimated three to four million Christians in the Saudi kingdom who want to have a church. A member of Saudi Arabia`s Consultative Council, Abdelaziz al-Thinani, rejected the prelate`s claims saying that there were no Christians among the Saudis who were all Muslims. 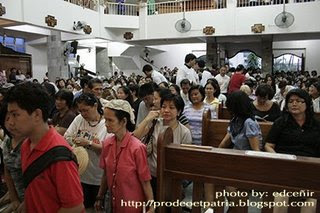 "Those few Christians do not reside in the country permanently, they come and go," he said. He denied there were four million Christians in the kingdom and said the issue of human rights should not be used to call for the construction of a Christian church. Most of Saudi Arabia`s Christians are foreign workers. There are 8.2 million foreign workers in a country of 25.6 million people according to a report by the Saudi Labour Ministry. 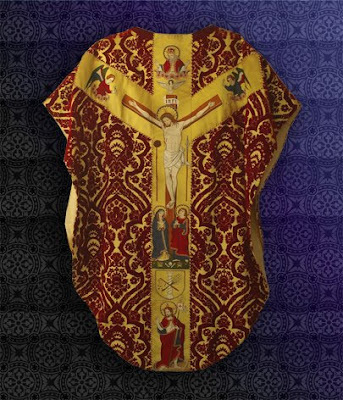 This beautiful chasuble was made in the early 20th century, but is a careful reproduction of the form of chasuble found in the Rhineland in the 15th century. 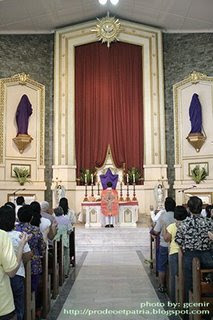 The chasuble is made of crimson velvet on a base of straw-coloured silk twill. It is ornamented with extraordinary orphreys of woven silk, which are in places embroidered. The design is closely based on 15th century Rhenish models. The photographs shew the back of the chasuble featuring the Gabelkreuz or forked Cross orphrey, depicting the crucifixion. 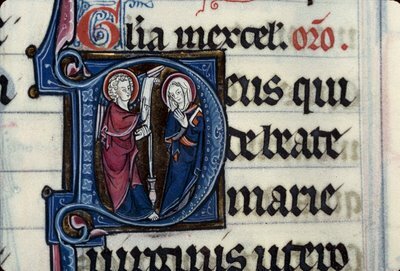 A close-up shews the figures of Saint John and the Blessed Virgin at the foot of the Cross. 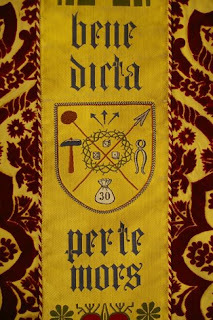 The front of the chasuble is ornamented with a column orphrey in the same fabric, but ornamented with figures of the Passion and a phrase from Venantius Fortunatus' Pange lingua gloriosi. 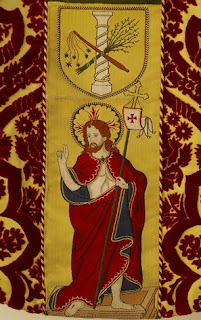 An embroidery from the front of the chasuble is also shewn. 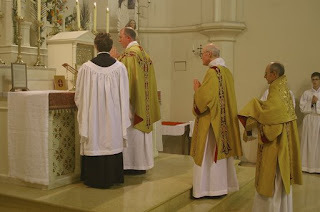 The provenance of the chasuble is uncertain. 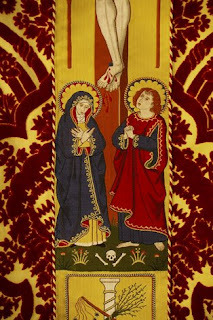 It would appear to have been made for Feasts of the Holy Cross, since the basic colour of the fabric is a deep red. Mr. Daniel Mitsui (The Lion & the Cardinal), has made available in his personal website transcripts and fac-simile images of some of the most important works of Medieval Christendom, including the Speculum Humanae Salvationis - a familiar title for all those who have admired the most intricate illuminations of Western art. This admirable effort is an ongoing project by Mr. Mitsui to bring important Medieval reference works to the web; keep visiting his page for updates. 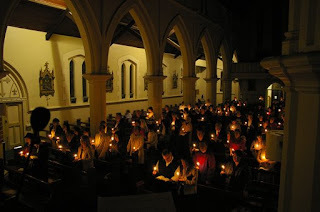 We are pleased to conclude this series of photographs of Holy Week from the Church of Saint Aloysius in Caulfield (Archdiocese of Melbourne, Australia) with images shewing the various parts of the Easter Vigil. The thriving Old Mass Community at Caulfield is under the patronage of His Grace, the Archbishop of Melbourne, the Most Rev'd Denis Hart. 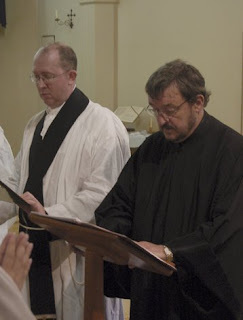 The ceremonies at Caulfield were celebrated according to the 1962 Missale Romanum by Fathers Glen Tattersall and John McDaniels. 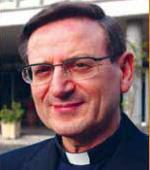 New Turn of Events: Amato probable new Prefect of Divine Worship? 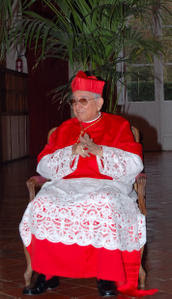 Months after the current Prefect of the Congregation for Divine Worship and the Discipline of the Sacraments, Cardinal Arinze, reached the retiring age of 75, a new name for his replacement is being mentioned as probable: Archbishop Angelo Amato, SDB, 70, Secretary of the Congregation for the Doctrine of the Faith under both Cardinal Ratzinger and Cardinal Levada - and not the current Secretary of Divine Worship, Archbishop Malcolm Ranjith Patabendige Don, 60. Andrea Tornielli reports on the latest rumors, and adds that Amato's probable substitute would be the well known President of the Pontifical Lateran University, Bishop Salvatore (Rino) Fisichella, 56. Did Ranjith speak too much, too soon? News is now spreading of the consecration shortly before March 23 -- Easter Sunday according to the Gregorian Calendar -- of four Ukrainian Greek Catholic priests as bishops, without being nominated by the Major Archbishop of Kyiv and head of the Ukrainian Greek Catholic Church (UGCC), Lubomyr Cardinal Husar, and without receiving the necessary Papal blessing. The UGCC has issued a communique condemning the consecrations. At present, secrecy and uncertainty cover the identity of the consecrating bishop. 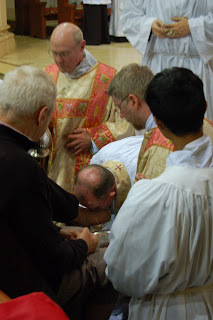 Some have even questioned whether this bishop (whoever he is) is a real, validly consecrated bishop in the first place. (However, it does not seem likely that these four bishops would have sought consecration from a bishop of doubtful orders.) Speculation on the identity of the consecrating bishop currently centers on Michailo Osidach, who claims to have been clandestinely consecrated by the late Metropolitan Volodymyr Sterniuk C.SS.R. during the Soviet era. This comes a little more than four months after the excommunication of Fr. 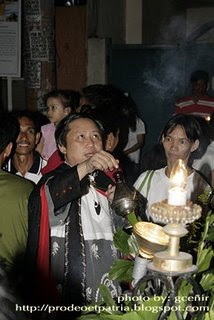 Basil Kovpak, founder and head of the Society of St. Josaphat (SSJK), a Ukrainian Greek Catholic society of priests which is currently associated with the Society of St. Pius X. Fr. Kovpak was excommunicated by Cardinal Husar for attending the ordination of two SSJK priests and five SSJK deacons by SSPX Bishop Richard Williamson. While the two events do not seem to be related, both have their roots in the same controversies now shaking the UGCC. In their Open Letter to the Holy Father the new bishops profess filial devotion to Rome while justifying their consecration as a necessary action in the face of the alleged modernism and hyper-ecumenism of the current Major Archbishop. In particular, they denounce the Balamand Agreement of 1993, which rejected Uniatism as a model for the future. 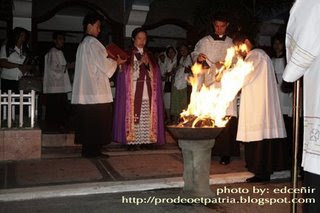 They also condemn what they consider to be the schismatic and apostate attitudes of the Cardinal Husar and of the UGCC hierarchy, as well as the negative attitude being shown within the UGCC to Latin devotions such as the Rosary, Way of the Cross, Devotion to the Sacred Heart, etc. The letter also declares that theological modernism is beginning to pervade the UGCC and speaks of its "practical schism" from the rest of the Catholic Church. The letter, thus, reveals a theological and spiritual position that is identical at least in certain important points with that of the SSJK. These consecrations seem to be the latest sad chapter in the theological and liturgical debates currently besetting Ukrainian Greek Catholicism (as well as certain other Byzantine-Rite Catholic Churches). One of the important issues around which these debates revolve, is the question of whether the Ukrainian Greek Catholic Church should return to a purely Byzantine liturgy and theology and should attempt to be as close to Eastern Orthodoxy as possible (even sharing the same theology -- a position that Cardinal Husar has publicly endorsed while expressing his belief in the necessity of communion with Rome), or whether it must keep the Latin elements that were introduced from the 17th to the early 20th centuries into the UGCC's liturgy and spiritual life, and continue to emphasize its Catholic identity and mission vis-a-vis Ukrainian and Russian Orthodoxy. More analysis of this event can be found here. Juventutem Australia is pleased to announce that Saint Augustine's church, Balmain has been chosen to host the Juventutem program during WYD 2008 in Sydney. 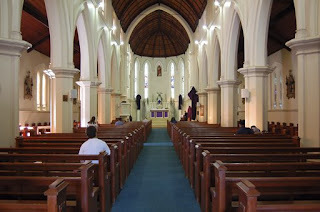 Saint Augustine's is well-located near Sydney city and harbour and will provide an excellent venue for the Juventutem liturgical program and music workshops. 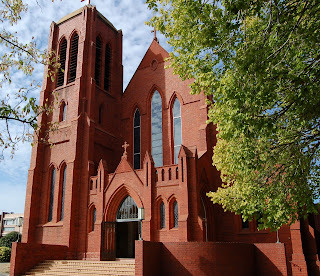 For further information about the church and photos of its history and architecture go here. Cardinal Castrillón Hoyos, President of the Pontifical Commission Ecclesia Dei, spoke today to the Vatican daily, L'Osservatore Romano, on the motu proprio Summorum Pontificum and related matters. Castrillón has some stern words for those who have used wrong terms without clear knowledge of the matter and, then, his most important answer, regarding future events. 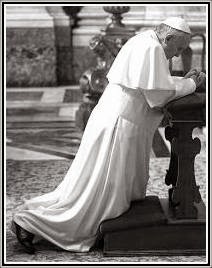 [L'Osservatore Romano:] How is a return to "full communion" possible for excommunicated persons? [Castrillón:] The excommunication applies only to the four bishops, because they were ordained without the mandate of the Pope and against his will, while the priests are only suspended. 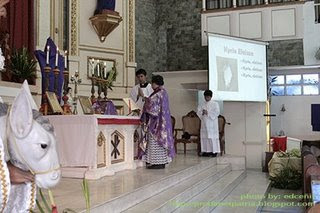 The Mass they celebrate is undoubtedly valid, but not licit, and, thus, participation is not advised, unless there are no other possibilities on Sunday. 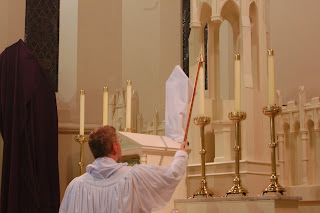 Certainly, neither the priests nor the faithful are excommunicates. I wish, speaking of this, to repeat the importance of a clear knowledge of things in order to be able to judge them correctly. [L'Osservatore Romano:] Don't you fear that the attempt to wish to bring back to the Church men and women who do not recognize the Second Vatican Council may provoke an aversion among those faithful who instead see Vatican II as a compass for navigation in the barque of Peter, particularly in these times of continuous changes? [Castrillón:] First of all, the problem regarding the Council is not, in my opinion, as grave as it might seem. In fact, the Bishops of the Fraternity of Saint Pius X, headed by Bishop Bernard Fellay, have expressly recognized Vatican II as an Ecumenical Council and Bishop Fellay reasserted it in a meeting with John Paul II and, more explicitly, in the audience of August 29, 2005, with Benedict XVI. Nor can it be forgotten that Archbishop Marcel Lefebvre signed all Council documents. I believe that their criticism of the Council is related mostly with the clarity of some texts, in the absence of which the path is opened to interpretations not in agreement with Traditional doctrine. 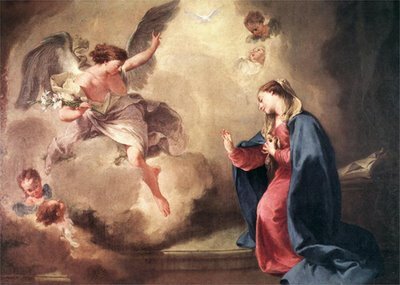 The greatest difficulties are of interpretive character and are related even to some gestures of the ecumenical level, but not with the doctrine of Vatican II. 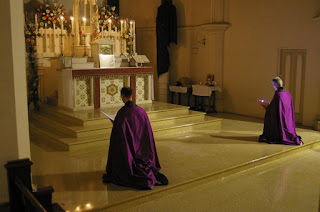 It is a matter of theological discussions, which may take place inside the Church, where, in fact, there are several interpretive discussions of the Conciliar texts, discussions which may continue even with the groups which return to full communion. The second phase of the One-Two-Three Strategy seems to be taking shape. 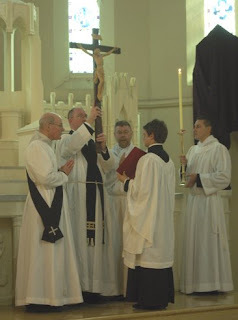 These are photos of the ceremonies of Good Friday from the Church of Saint Aloysius, Caulfield, under the patronage of His Grace, the Archbishop of Melbourne. 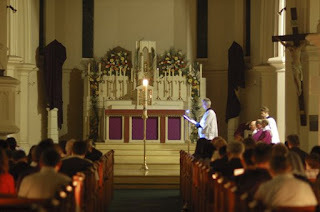 The ceremonies of Holy Week according to the 1962 Missale Romanum were celebrated by Fathers Tattersall and McDaniels. 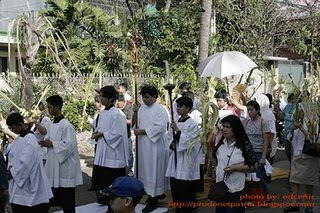 They were assisted in the chanting of the Passion on Good Friday by Father Laurence Cross. Technical difficulties required photos to be removed from the previous post: apologies. According to a report in Le Figaro, the Belgian capital – seat of the European Union, Nato, and several other international organizations – is nearing the completion of a historic cycle from Christianity to Islam. Below is my translation of the story. Today, one third of the population is Muslim and younger generations are more religiously active. The European capital will be Muslim in twenty years. At least this is what is confirmed by a study published last week in the daily La Libre Belgique. According to Olivier Servais, a sociologist at the Catholic University of Louvain, nearly a third of the population of Brussels is already Muslim and, due to their high birth rate, practitioners of Islam should be in the majority "in fifteen or twenty years". Since 2001, Mohamed has consistently been by far the most popular first name given to boys born in Brussels. From the Tafoukte bazaar to the Mohammed jewelry store, music of the Maghreb captivates the passerby. Lined with multicolored plastic buckets, sneakers, and shimmering caftans, the pedestrian zone of the Prado leads to the administrative building of Molenbeek - the Moroccan district of Brussels. Almost all women are veiled and the merchants speak Arabic. "You feel better here than in France or Spain,” says Akim, manager of a clothing store, “Maybe because we are such a large community. It's like a country of itself!" Several years ago” says Philippe Moureaux, commissioner of Molenbeek, “Muslims sought me out. They wanted me to be the "president" of their new mosque…." That means that the former minister, although himself agnostic, is well-received by the "large third" of the 83,000 Muslims among its citizens. Creating an advisory council of mosques with local funds, opening of a municipal slaughterhouse during the feast of sacrifice, presentation of an electoral ballot with a majority of Muslims… "These are gestures of respect which have earned me the trust of this community," says the commissioner. “We were very far, some say too far, but for me the only solution is openness." According to Alain Escada, president of the Belgium and Christianity association, "We continue to surrender more and more. More and more cafeterias introduce halal menus at the expense of Christians” he says with regret. “The authorities no longer do their jobs: politicians with a short-term vision are desperate to attract a new electorate, but also the clergy who place Muslims on equal footing with Christians even though they cannot expect anything in return. Look at this archbishop who was just murdered in Iraq!" For the moment, "the essence of Belgian Islam is peaceful and familial,” insists Olivier Servais, “but one day there may be a clear claim to Islam. I do not exclude the social ramifications." He fears that some communitarian parties could capitalize on the very high rate of unemployment in Brussels (over 20% of the population) which affects the Muslim population in particular. Jean-Francois Bastin, a 65 year old Belgian sporting a checkered turban and a henna-dyed beard, is known today as Abu Abdullah Abdulaziz Bastin. A convert to Islam, in 2004 he founded the Young Muslim Party. Abdullah does not shake the hands of women. "It deceives Allah,” he said. “It also deceives the one to whom the hand is offered into believing that you are equal. But I will offer you a big smile!" he quickly added. He himself says that the smiles which some politicians give to Muslims are only a "huge instrumentalization: There is enough of this kind of neocolonialism,” he said. “They claim that they are going to defend us and then they forbid headscarves in schools." In the last municipal elections, the Young Muslim Party, which is represented in only two districts of Brussels, garnered less than 5000 votes. "We can use this as a foundation to require more visible mosques, calls to prayer, cemeteries, schools, retirement homes…” says the convert. “I say to the Muslims: ‘Lose this spirit of the colonized! Colonizers have been expelled from Algeria; perhaps that can happen here’.” "Immigrants," he concludes, “have had enough and maybe ‘too much’ of integration. It is now time for Belgium to adapt." 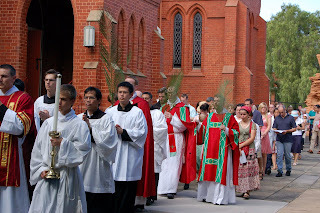 We are pleased to be able to post this series of photographs of Holy Week from the Church of Saint Aloysius in Caulfield (Archdiocese of Melbourne, Australia). The thriving Old Mass Community at Caulfield is under the patronage of His Grace, the Archbishop of Melbourne, the Most Rev'd Denis Hart. 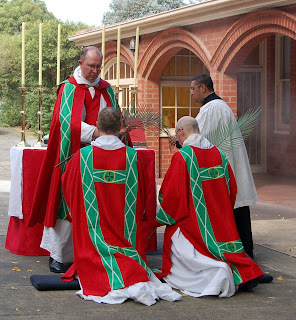 The ceremonies at Caulfield were celebrated according to the 1962 Missale Romanum by Fathers Glen Tattersall and John McDaniels. On Palm Sunday and Good Friday, the Fathers were assisted in the chanting of the Passion by Fathers Nicholas Dillon and Laurence Cross. 17 years ago, Archbishop Marcel-François Lefebvre died in Martigny, Switzerland, on March 25, 1991. Regardless of one's opinion of some events of his life, or of some of his decisions, or of some of his stronger words, it would be wrong not to acknowledge that without him the struggle for the preservation of much of what we cherish would probably have been lost. The fact that 17 years after his death "the question of Archbishop Marcel Lefebvre" is still discussed in the highest halls of the Church, that his name is still mentioned among the words included in some of the gravest decisions of the Supreme Authority of the Church (cf. 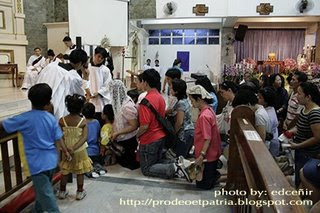 Letter to Bishops regarding the motu proprio Summorum Pontificum), and that the universal Church experiences in our age the great impact of the publication and implementation, not without hurdles, of the motu proprio Summorum Pontificum show that the global movement for the advancement of the Traditional Roman Rite is inseparably linked to the life of this passionate man, whose name still causes passionate discussions. 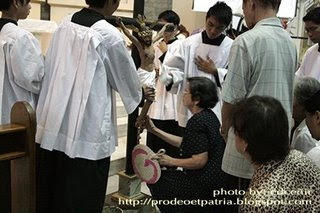 The decision to celebrate Holy Week according to the 1962 Missal was made shortly before Passion Sunday. 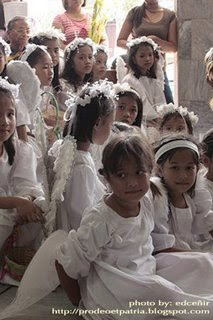 As far as we knew, no regular parish in the Philippines had celebrated Holy Week according to the classical Roman Rite since 1970 – and now, we had little more than a week to plan everything! Fortunately, we had the advice of the elderly Msgr. 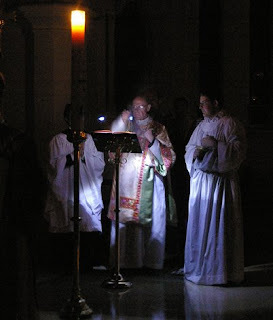 Moises Andrade, a great lover of the Traditional liturgy, and of an ex-SSPX seminarian who acted as MC. Our Sunday TLM cantor, Felix Valenzuela, had a great love and knowledge of Gregorian chant and was able to train other singers in time to form a schola for Holy Week. 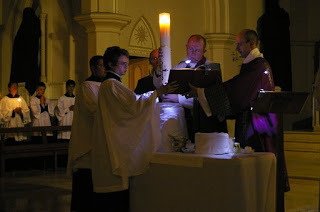 I myself acted as crucifer and as one of the main servers during the ceremonies, while helping to visualize and plan the ceremonies beforehand.